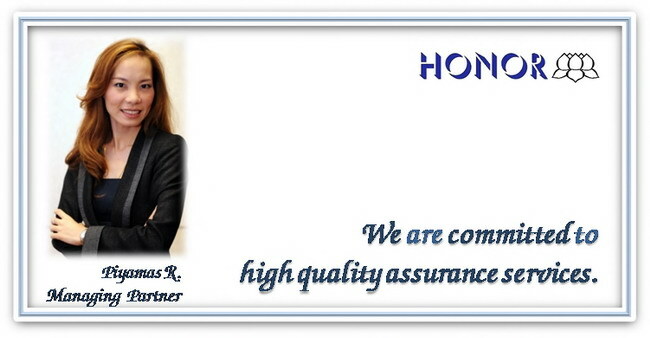 Honor Audit and Advisory is a professional audit and accounting firm. The company was established by a group of people who are experienced in various fields of management, finance, auditing, accounting and tax. We believe that sustainable business growth is based on trust. This is the reason for naming our company as “Honor” Audit and Advisory co.,ltd. 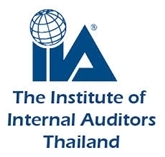 We provide quality professional services to both Thai and foreign clients with a board range of auditing, accounting, taxation, corporate advisory, business formation, business consultation and Thailand investment promotion (BOI). We support both individual investors and many kinds of organizations in every stages of business development. We are committed to high quality assurance services by developing our audit process to meet the ISQC (International Standard on Quality Control). We are focused on driving a valuable outcome to our clients on our consulting services. 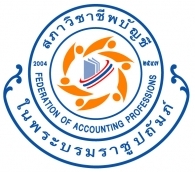 "To be the trusted audit and accounting firm in Thailand by providing a quality comprehensive scope of assurance services and business consulting services." "To be a trusted auditor and advisor that everyone can rely on."